Oriale was very understanding of my concerns. Great customer service. questions about the temperature of my frig. and Raymond did a thorough checking of everything. He answered all my concerns. I did forget to ask him one question but nothing major. Mr.Martinez was very thorough in his work and concluded that the problem was not with the dishwasher but a simple electrical issue. Kudos to the honesty of Mr. Martinez. The tech came to the property on time, as promised they called 30mins before and delivered on performance and very professional. Thank you! Appreciate the notification of arrival time by phone and e-mail. On time. Ordering new part which will solve the problem. Person who came was nice, wasn't able to do much due to the specific situation. Also, now one called 30 minutes ahead of time, just showed up. Thankfully, I happened to get home at the exact same time. Jaime was great. Prompt service and had the part in his truck to fix the refrigerator motor issue immediately. Super pleasant and knowledgeable too. Jorge was fantastic! He called ahead and gave me a quick summary and reminder of costs and what may or may not be needed. Then when he arrived he was able to promptly figure out what was wrong with the unit and had the issue fixed within a matter for moments. Thank you so much! I will keep Jorge and Paradise in mind if I have anymore issues! the gentleman that came by was very professional and knowledgeable. he fixed the dryer in no time, answered my questions without hesitating, and even gave me some tips/pointers. Outstanding. The Service was A+. Johnny was a very polite, knowledge able & helpful person. I was so pleased with his service. He is a great asset to your company. 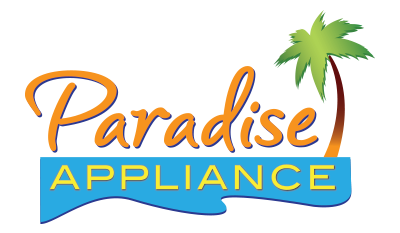 I was very pleased with the service and would recommend Paradise to friends!!! Quick good job. Nice guy. He was there to fix a screwup by the previous guy. Oriale had the technical expertise to fix my problem. Very thorough, friendly and professional. I had a warranty service on a refrigerator, and the initial scheduling was OK, but the tech needed to order parts, which took a week to arrive, and there was no communication as to status until the day before to re-schedule the fix. The problem wasn't solve between the 2 glasses of the oven it is dirty then the first time we used the oven leaking of steam runs between the 2 glasses leaving marks plus between the glasses you can see the dirty, on a new oven range it is not acceptable. My technicians were very professional. very professional service team, identified problem and solved it immediately. Jonathan, was extremely efficient and polite. He analyzed and fixed the problem quickly Thanks so much! Very knowledgeable & quickly identified the problem & proceeded to fix it. A very pleasant & courteous young man. He even helped us clean up that mess that lives under a refrigerator. Although we hope we don't need another repair we would definitely ask for him. Thank you ! He's been out a couple of times for various things in our brand new house and always does a good job, and is a courteous and friendly guy.